Tales of Life seems taller than life. Nigerian jazz trumpeter Etuk Ubong’s thoughtful album of his compositions speaks to not only Nigerian ancestral spirits, but also to the beauty of peace which our world could promote better through our humanity. Ubong’s ambition is to bring truth to music, sonic storytelling being one way. Young Ubong does just this, and exceeds expectations as he ambitiously, even conservatively, continues to explore reflective soundscapes and rhythms, in this, his second album, released in February 2017. The opening piece, “Battle for Peace”, honours hope, love, and peace. The drums speak with eagerness and forward-thinking, even coercion as the three horns introduce the theme of this album. All seem to cry for peace. It’s an energetic beginning, honouring what’s good. Ubong plays a staccato trumpet with a breathiness reminiscent of the early Miles Davis whom he emulates. His revealing solo in “Drawing Room” gives testimony to the serious practice he has undergone faithfully over these years of performing and perfecting his instrument along with the moods and emotions that can go with it. Likewise, he pairs nicely with the piano of Timothy Ogunbiyi with the off-beat drums of Benjamin James, as in “Genesis”, a piece that displays obvious talents of Ubong’s bassline. His provocative sounds are clear, simple and thoughtful, improvising to be understood. In ‘Story’, he continues his telling, like a yoga massage. The drum silhouettes with a steady undercurrent, and the piano ends this story the way it began, pronouncing that the healing has been done. In ‘Suddenly’, midway through the album, Ubong continues to unfold his tales with the same haunting off-beat drum and announcing piano that enters/exits, then re-enters, changing tempos and moods. This arrangement allows for a special layout by drummer James that charms. But when Ogunbiyi’s piano takes over, things become meditative and wondering. There are sudden outbursts of hyped up tempo and emotions, like questioning the purpose of life, then a whimsical return to the basic theme. This is a beautiful reflective piece, and my favourite on the album, as well as the longest song. This questioning leads to the boppish ‘Tales of Life’, again with Ogunbiyi’s punctured piano treble runs. The long notes of Ubong’s horn are unwavering, bringing out the melancholic undertones which characterises this album. Some notes deliberately go off-kilter, synonymous with life’s sometimes erratic journey. As in life, one must learn to listen attentively. “The Earth Meditation” brings the listener back to reflection with the soothing near-silence of Ubong’s fugelhorn. Ending the album, and befitting a son whose mother passed away too early, ‘Uyai Mi Margaret’ is a beautifully orchestrated song honouring Ubong’s mother, Margaret, as well as all women of this world. It’s a soulful vocal chant that adds meaning to this wonderfully inspiring album. 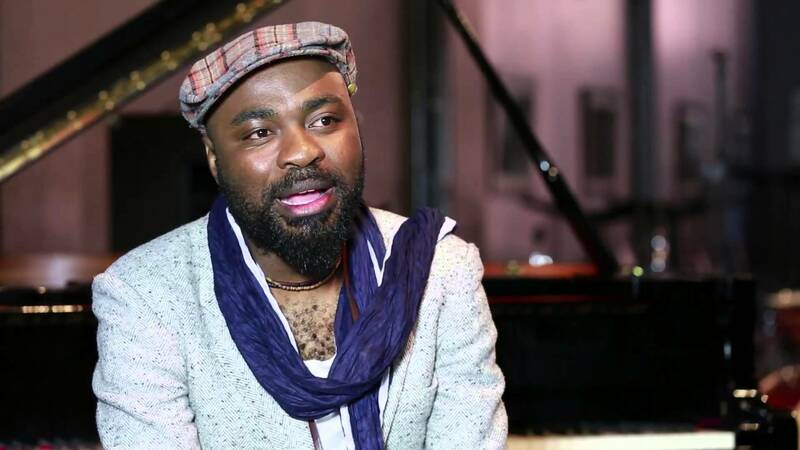 ‘Tales of Life’ displays obvious growth of Ubong’s talents as he journeys his music far and wide, between South Africa, Nigeria (where this album was produced), and soon-to-be other worlds. 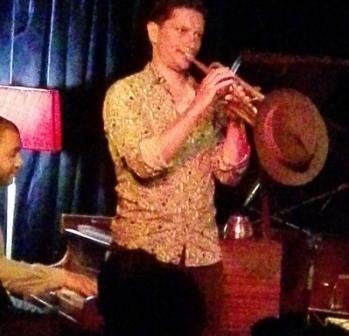 Stay tuned as this innovative jazz trumpeter brings his African influences to his intriguing improvisational styles. 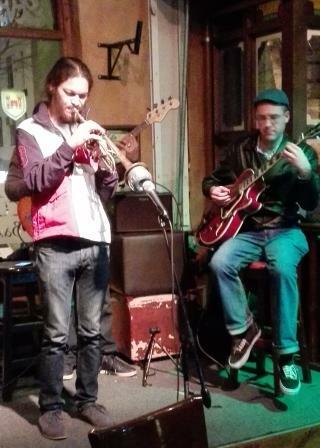 CapeTown jazz jams at O’Driscolls Irish Pub get down! 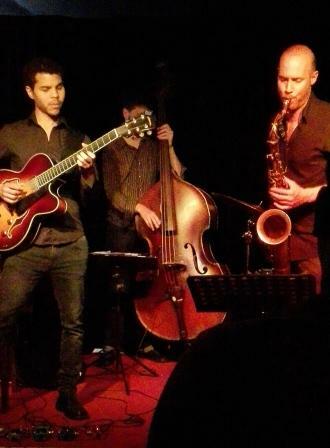 Spring/summer IS coming, warming our hearts again with a Wednesday night jazz jam open to all! 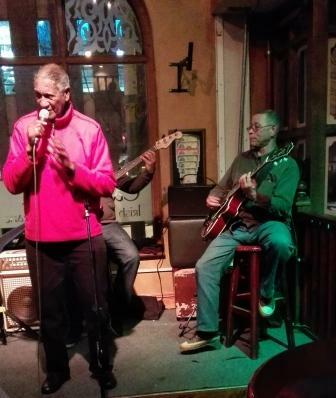 Joe Schaffers and guitarist Alvin Dyers are at it again! 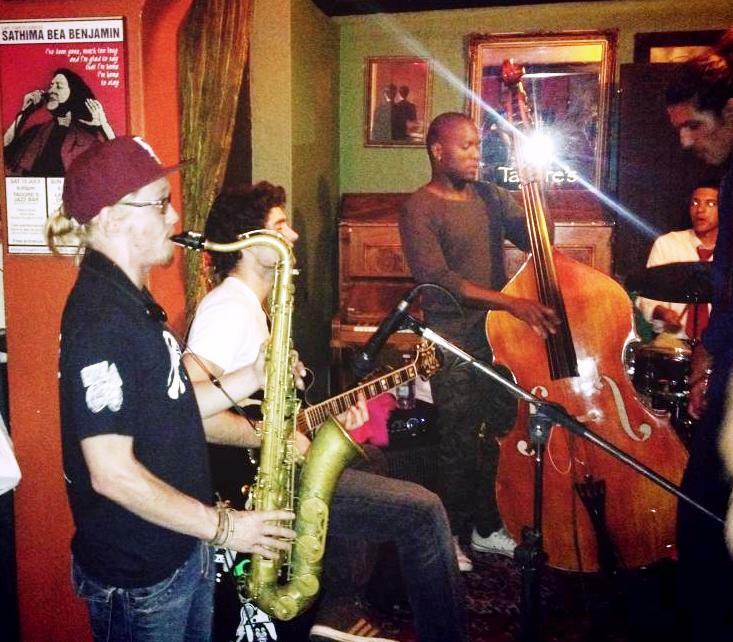 Making sure there are weekly jams where musicians, fans, visitors, and students can come and enjoy an evening of sounds from some of Cape Town’s great musicians! Since several ‘Monday night’ jam venues were closed during my 19 year period of frequenting them (namely, Val’s Cafe and Swingers, both in Wetton), homes have been sought to sustain a regular excitement. The newer ‘Mannenburgs’ housed on Strand Street in an historic building had to be vacated late last year due to renovations and other factors. There’s a new kid on the block now – at least for good live jazz! Central to Cape Town and just one block from its vibrant Green Market Square is a pub called O’Driscolls Irish Pub at 38 Hout St, Cape Town City Centre, Cape Town, 8001 Phone:021 424 7453, open till 2am so they say on their website. On Wednesday nights, you can sit back at a table or the bar, and down a pint of Guinness while tapping to the music and catch a bite to eat from the affordable menu, offering salad instead of chips for the weight-watchers. Last Wednesday, 19 August 2015, I popped in as I wanted to commune again with trumpeter Darren English, now based in USA teaching at Atlanta’s Georgia State University Music Department. Darren, originally from Muizenberg, started his childhood live performance career at a tender age of 15. Couched in a beetles-style hair cut, Darren blew his trumpet to admiring crowds at the Swingers Monday Night jazz jams in Wetton. His busy father was adamant and loyal about exposing his gifted son to the elements, and accompanied under-aged Darren to this bar/restaurant night club every Monday. 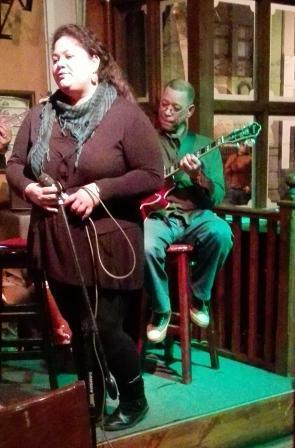 Other notables at last Wednesday’s jazz were singer songbird Emily Bruce who, at age 35, is deciding whether to pursue her Doctorate in music or another degree in Marketing, the latter to serve as a ‘real’ income. 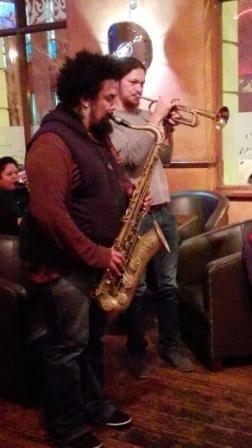 Mark Fransman, a whiz musician who excels on both piano and saxophones made his appearance as well. He and Emily were also young guns on the Monday Night jazz jam stages when they had no other platforms to practice their live arts. Guitarist Johnny Russell, another young Swingers hopeful jammed with all of the above. 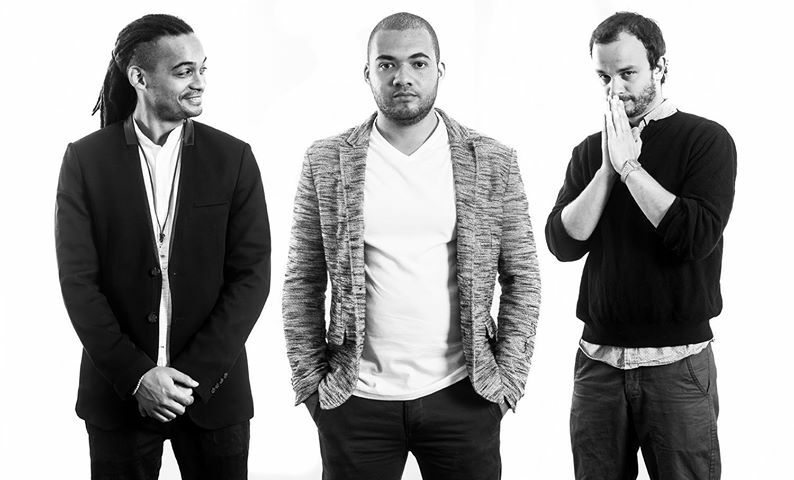 MC for these jams, Joe Schaffers, himself an old fixture at the live community jazz gigs and faithful supporter of youth in music, has served with several NGOs in the Cape Flats and Cape Town area serving music educational needs in communities. As he sings with guitarist Alvin Dyers who kept the jazz jams going for several decades, I could only smile and reminisce how these walk-in and enjoy-yourself jams lightened the end of a day, and afforded musicians and patrons alike opportunities to ‘talk music’ and interact during the evening hours. Who will appear next Wednesday is anyone’s guess! Pop in between 8 – 11pm for a dose! 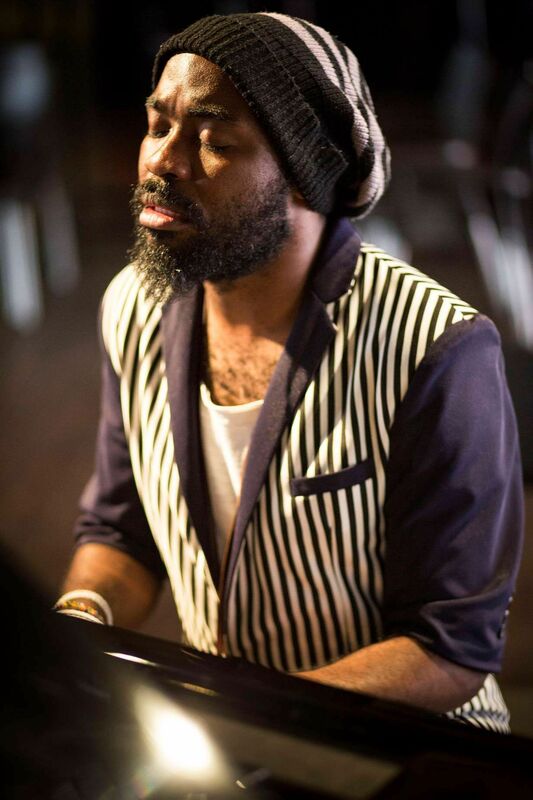 Ancestral Heartbeats Code the Music, an interview with award winner pianist Nduduzo Makhathini. 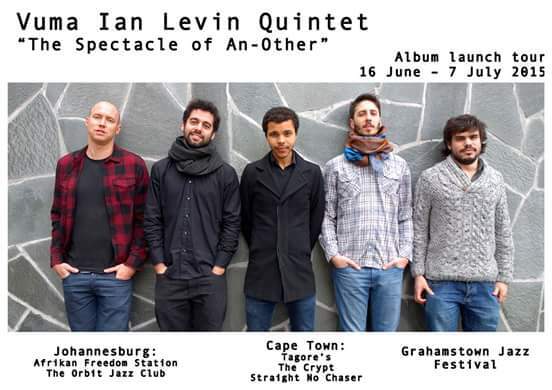 I felt somehow connected with ancestral energies as I drove this youthful bearded jazz pianist to CapeTown’s airport after his weekend gigs with trumpeter, Feya Faku, and local musicians. His performance with Faku’s album launch, “Le Ngoma”, at CapeTown’s popular Straight No Chaser jazz club was a subdued low key presentation of his wider talents. 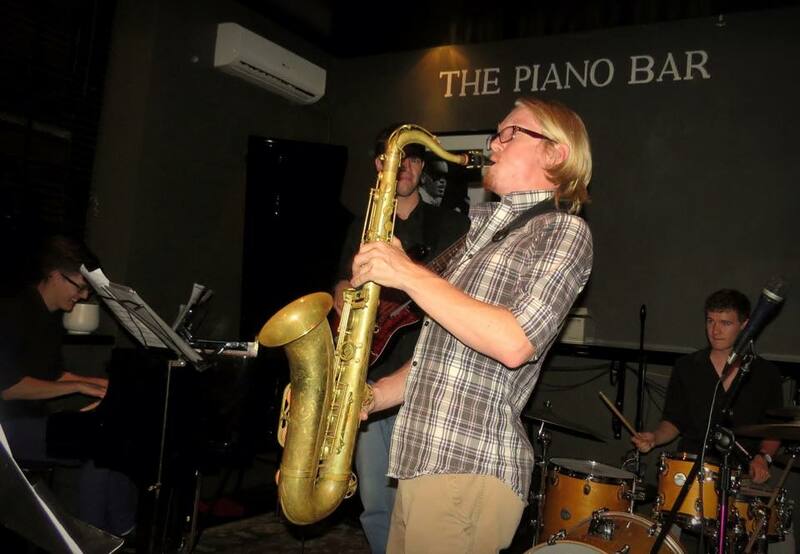 Johannesburg-based Nduduzo Makhathini, originally from Kwa Zulu Natal, is still on a high from being granted Standard Bank Young Artist 2015 award in the Jazz category. I asked him about his philosophy, messages, and what he meant by ‘identity politics’ which he has adopted. NM: Mine is spiritual, wedded with cultural. I was introduced to music in its religious mode, and later to the business side of music. I grew up as a Christian, going to churches, etc. but I don’t subscribe to any of them. Music moved me into a more spiritual groove. In my youth, I would visit up to four churches on a Sunday just for the music. I loved the gospel messages and sounds. I would leave when the sermons started! CM: Who else has influenced you besides Zim and Bheki Mseleku? NM: My mom is my greatest inspiration, and my first piano teacher. I also grew up with the traditional isicathamiya ensembles, or male acopella, like Black Mambazo. I love harmonies which is why this singing drew me to the piano where I can make harmonies myself. I also love harmony in life, which is why I became so close to Bheki who focused on harmonizing things in life. Andre Petersen is also one of my favourites as he expresses inspiration also with Mseleku. CM: Your three kids are also part of your music journey, aren’t they? NM: Wow, I have three kids. What a responsibility now! What can I put out there for them? What is left for me by my forefathers, and for them? So my album, “Sketches of Tomorrow” is for my kids. I fused the Western with the traditional African since I have to deal with both cultures, which meet on this album. And they do too. CM: You talk about healing others. What about healing yourself? NM: I always feel that the music I play has a message sent through me. Sometimes I don’t understand these messages. So healing goes through me, my system. It tries to heal the space that we’re in, our environment where everyone operates. There are different forms of healing, but I concentrate on the traditional kind in my Zulu culture. I want my family to learn that each and every individual has a role to play on earth, and we need to find out what that is. That’s my ‘politics’, that everyone, equally, has a contribution to offer. We are passing the shacks now [along Cape Town’s N2 highway on route to airport]. Without those people here, this process of honouring each other cannot be complete unless we continue the legacy. That’s why I care for everyone, the kids and people on the streets, and even the more fortunate in the suburbs. These people in shacks barely have the basics for living. My music speaks to them more because these people need healing. My grandmother was a healer who would have water and pray on it. I asked people to bring water to my gigs, and just have it there in their possession. My music, I believe, then allows the water to capture the healing, and this water has the power of coding certain messages. Mbeki and I used to go to these temples and learn how the spiritual energies were moved by earth elements, and I learned from this. Together, we explored healing as a gift through the language of ingoma or our musicianship. CM: Regarding your still-to-be launched album, “Listening to the Ground”, I’m curious why you have pulled in the Swedish tenor saxophonist, Karl Martin Almquist, one of my very favourites from northern Europe? NM: I found him on YouTube, had never met him, but loved his sound. I sent him an email a few years ago, and invited him to join in my latest album. He said, Yes! CM: Tell me about your album, “Listening to the Ground”. NM: This is for my ancestors. It’s about the African soil, and African environment, which has so much energy and sounds in it. How deep is the African ground, and how deep is the African soul? In spite of slavery, African people continue to smile, continue to have hope, and till the soil. CM: Your music you say comes from an ‘external’ force. If you mean a higher Spirit (let’s call it ‘God’), then why can’t this powerful force be ‘internal’ as well? Your project seems to have integral components working together. NM: Yes, right. I see God as a holistic view of consciousness. It means ‘God’ is a complete picture, both internal and external. The deeper you get into the internal mode of self, the more you can go outside yourself. Like those who had ‘out of body’ experience….. they went so deep inside themselves that they could actually come out of that experience. CM: You’d make a good Buddhist! NM: Oh, hah hah! I read and listen alot to Osho? On Sundays, with my family in our house, we listen to Osho teachings and alot of music, and learn and discuss. Osho leaves things open for us to look for conclusion. For instance, he observes the cycle of water with this story: There was a stream that flowed for so many years, but then runs into a desert. Osho then panicks wondering how he’s going to find water in this dry desert. But he had another thought: If I become one with the desert and dissolve in it, then I’ll be OK. It then began to rain in a different place and saved his desert. His message was that sometimes, we must dissolve and not take ourselves so seriously. And this is what the exercise of music teaches. I can just let go and not become so absorbed in my individuality. The greatest moments are when you can’t tell the difference between the piano, or the bass, or the drum, but rather when there’s one wave of sound…… This is consciousness, becoming one with the environment. CM: Are you interested in teaching about this consciousness, environmental holistic healing, and ways to save us all! NM: It’s always there indirectly. The music is our greatest teaching. My music is universal, always a means to a destiny. Music has a power, something deeper, for people to reach for. I’ve been writing alot, in social media, about what inspires my music. Many people who resonate with my music and its ingoma (musical healing) are not necessarily jazz lovers. CM: You’re on a journey….particularly with your family. With your mom….And your wife? NM: My Mom’s very special, supports me 100%, even though she doesn’t have my belief systems. My wife, Nomagugu, is on all my albums. She’s one of my favourite singers. I’ve got my daughter on ‘Mother Tongue’. The three children and my wife finish the last track on “Sketches of Tomorrow”, with my children ending the song: “Oh Nothing; Oh Nothing Again”. I thought what a beautiful message as it came from them listening to the woes about Zimbabwe daughters there, about “Africa’s daughters are without names,” with a loss of identity. So I think it’s amazing how kids can spark this energy in the music we play in the house. In terms of healing the space, the kids and my wife heal that house space which becomes charged with so much energy. CM: What an experience for the kids! You talked about your Sunday gigs just for the three of them. Do you record your family sessions? NM: Oh Oh. No. What an idea! I should record them, you know. We would talk about the gigs, about what is God and existence, and about what they feel in the music, and how the music connects to God, etc. Other kids would tell them about their church experience, but my kids would tell their friends about the music: “Our Dad does gigs for us!” and explain what we played at home that morning. CM: So your journey continues…. NM: Like Bheki Mseleku who said he never knew how or where to finish a tune, it just kept going and going, with no real ending…… So I think I love the same kind of thing, where music never ends. Durban is a center for guitar harmonies, too, which I love. My father played guitar, so I have been inspired by those traditional sounds . I portray this in the song,“From an Old Bag of Umkhumbane”. I recently discovered that my paternal grandfather came from this town of Umkhumbane which, like Sophiatown, became a melting pot for jazz and music. There was a whole tradition of guitar culture. This is why I like to explore how to express this guitar on the piano. I’ll be doing my masters at Stellenbosch University through York University partnership. I’ll focus on oral tradition and jazz, and how music has been taught without written music. Similarly, how stories in a song have been orally presented, not written. Written scores present different interpretations, like Winston’s Yakhal’ Inkomo which he authored in a different time. Likewise, I’m dealing with certain things now, but how do I make that song relevant and how do we push this music forward for it to make sense with the generations to come which don’t know much about the history of South Africa? But in this music, certain things can be coded and documented, of history and music. At this point, Nduduzo had only half hour to check in for his flight. Our chat could have continued forever….. It will.